WASHINGTON — Capella Space, a startup planning a constellation of radar imaging satellites, has raised an additional $19 million to fund continued development of its system. The San Francisco-based company said Sept. 26 that it raised the Series B round, led by Spark Capital and Data Collective, also known as DCVC. Capella Space has raised approximately $35 million to date, including prior investments by both venture capital funds. That funding will support development of what Capella Space ultimately plans to be a 36-satellite constellation providing synthetic aperture radar (SAR) imagery with hourly revisit times. 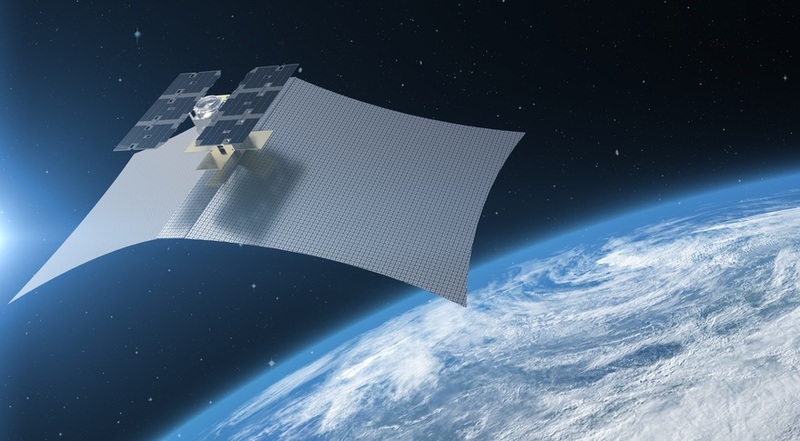 The company’s first small satellite is scheduled for launch in November as part of a SpaceX Falcon 9 dedicated rideshare mission. “What this new funding allows us to do is execute on the next few satellites — launch them and start delivering imagery — while we’re kickstarting the manufacturing of the first batch of the constellation,” said Payam Banazadeh, chief executive of Capella Space, in an interview. The funding will also support expansion of the company’s business development team and product services. The first satellite will strictly be a technology demonstration mission, he said, but two more scheduled for launch next year will start providing SAR imagery. Capella Space already has “early engagements” in place with initial customers for imagery from those later satellites, he said. SAR offers the benefit of being able to collect imagery regardless of time of day or amount of cloud cover, unlike optical imagery. However, it’s also had a reputation for being more difficult to work with, an issue Banazadeh said is fading with the rise of automated systems to interpret the imagery and extract the desired information. One major customer Capella Space anticipates for its SAR data is the U.S. military, as the company will be the only domestic provider of such imagery. In addition to the venture funding, the company previously won an $11 million contract from the Pentagon’s Defense Innovation Unit. Banazadeh said the company has received half of that money so far and expects the other half to come by the end of this year. Commercially, he said major customers will likely come from the infrastructure monitoring, maritime and agricultural markets. In those cases, SAR can provide unique measurements and do so with the frequency and reliability needed by customers. A challenge for developing any satellite constellation has been launch, he said. “Whether we like it or not, launch problems will not go away any time soon,” he said. Capella Space designed its constellation to be gradually scalable, with the full system featuring 12 planes with three satellites each. The satellites are small enough that three of them — one plane — can be launched on a single Rocket Lab Electron vehicle, a more optimal approach that relying on rideshare launch opportunities. “We’re going, with just one rocket at a time, to add these planes and add capability,” he said. Banazadeh said Capella Space will need to raise another round to build out that full constellation, most likely in the next 12 to 18 months. Raising money has not been a problem for the company so far, he said. Capella Space has that, he said, with DCVC and Spark Capital. DCVC has invested in companies like Planet and Rocket Lab, while Spark Capital has extensive experience in hardware companies. One of the members of Capella’s board is Chris Boshuizen, an entrepreneur-in-residence at DCVC and a co-founder of Planet. “Being with an investor like Data Collective, which has a really rich portfolio of space companies, is like being part of the same family,” he added.